Kingsford River bridge is a five span twin U-deck underbridge on the NDN line in Devon that spans over the Kingsford river. VEDA Associates were employed by Dyer & Butler to act as temporary works designers to facilitate steelwork repairs required on the aging metallic elements of the structure. A suspended tube and fitting working platform scaffold was designed and fixed to the bottom flange of the main girders. 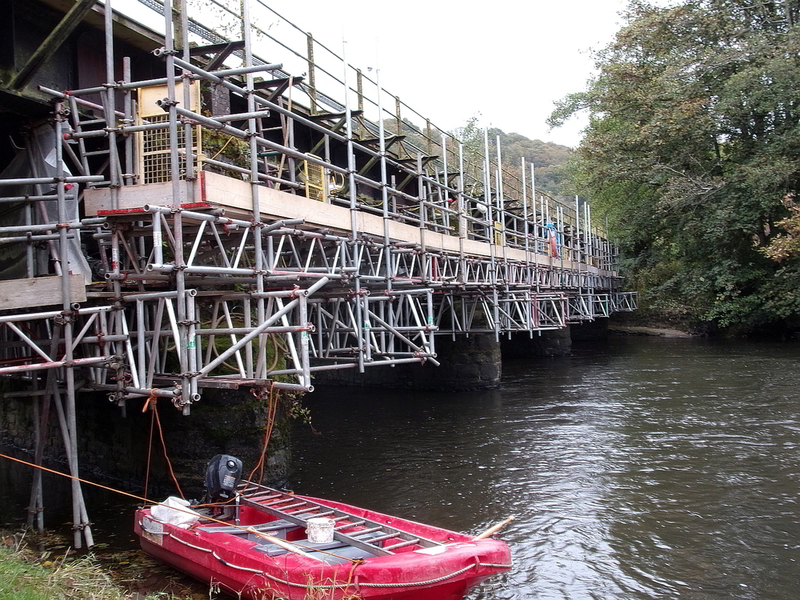 The scaffold was hung to allow the ensure no standards were located in the river bed whilst maintaining the navigational parts of the river.